The first and pretty important aspect you should appreciate about dog grooming is that it is far more than just having a good-looking dog. You see dog grooming actually plays an important role in the health and well-being of your dog. Yes, we have to go back to basics because only then can the rules be broken. No but really when most people hear or speak of dog grooming it conjures up images of some spoilt dog (doggacessory?) being lathered and ﻿﻿﻿﻿shampooed before the lotion and perfume is applied. And then there are those of you who conjure up more down-to-earth images about dog grooming which only revolve around maintenance of the dog’s fur (or hair). And certainly you are not wrong for thinking such but truth be told dog grooming is so, so much more. If your dog is going to interact in a social environment then like it or not he is going to have to attain a certain standard of hygiene. Put another way, a disheveled looking dog breeds suspicion. What kind of suspicion am I talking about? Consider this: You’re strolling down a street and you see two dogs from the same breed approaching you. One looks immaculate and well-groomed, whereas the other has a dirty-ratted coat and is generally filthy all round. Neither of the dogs is approaching with a menacing demeanor, but you have no option but to squeeze past one or the other on either side of the street. You won't be able to stop your dog from bedding and rolling down in the stinkiest of places. So what are you gonna do when that happens. Just let fido saunter into the living room and hop onto the couch in all his funky and stinking glory? Okay I’m sure you now agree that there are more than a few good reasons to groom that hound dog of yours. But I’m also sure that if you have never undertaken the task of grooming a dog you’re probably a little anxious about what it entails from a money point of view as well as time-wise. Each approach obviously has its merits. The DIY approach shines in that in the long run it is going to be so much cheaper than professional grooming. The downside in the DIY approach is that you’re going to have to get your hands dirty! And invest in a good set of dog clippers! We are fond of the dog nail clipper and trimmer by Boshel. Things that stand out about this product are the 3.5 mm stainless steel blades for precise and clean cutting AND the integrated sensors technology to help you avoid cutting too deep and harming your pupster. The non-slip handles also makes it super easy for you to hold and use. Professional grooming speaks for itself. You pay a pro to make your dog look like a fashionista (or should it be doggista?) without having to worry about much except forking over a few good bills for the transaction. As the saying goes, if you are willing to pay the pro will play! Most dog breeds actually have two coats, such dogs being categorized as having either a double coat (most commonly) or a two-ply coat (less common). 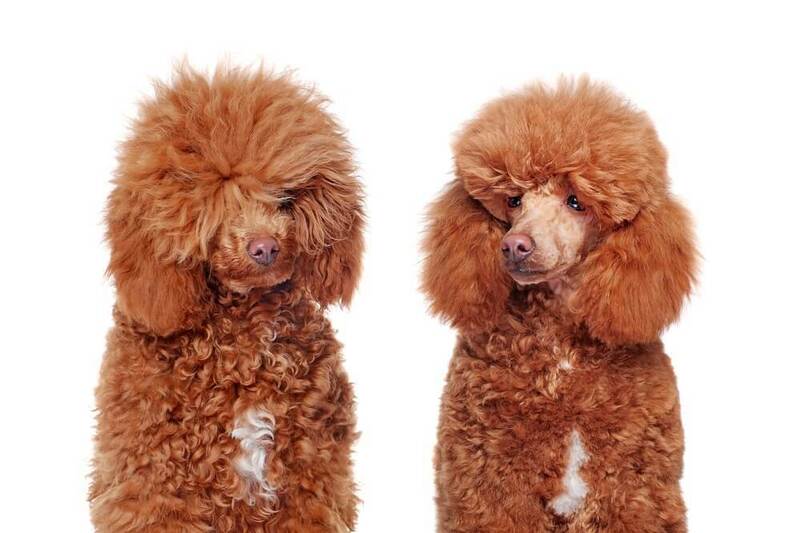 These dogs have their double coat divided into an upper coat which is comprised of so-called guard hairs. This coat is characteristically water-repellent and acts as a natural barrier to the elements and protects the dog’s undercoat and skin. The coat beneath the top coat is unsurprisingly known as the undercoat. This type of coat is generally shorter than the stiff-haired upper-coat and tends to be downy in nature. The undercoat acts as an insulative barrier during cold weather and is shed or blown out during the warmer seasons. Such shedding occurs twice a year. Fewer dog breeds are of the single coat variety and in such breeds there is only a single top coat. 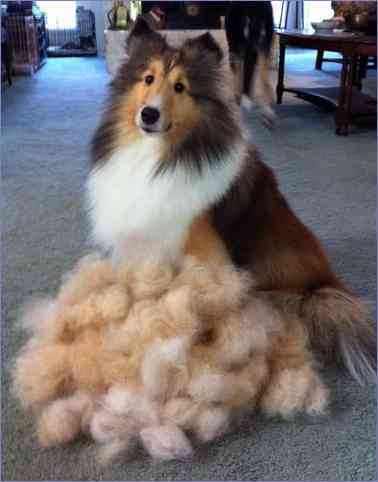 Not surprisingly single coat dogs shed less than their double coated counterparts. With respect to dog grooming both coat varieties have unique issues. While we are still on the topic of coat variety in context with dog grooming then the next logical subject matter is coat length. As their categorization indicates, for all intents and purposes these dogs lack hair/fur; though some may claim a smattering here and there like the C﻿﻿hinese Crested dog (one of the more popular hairless dogs). It should be noted that despite their general lack of fur these dogs still require grooming. After all they have skin; teeth; ears and nails. Enuff said! Dogs with this coat variant only get minimal protection against the elements despite the fact the coat may be a double coat not single. However from a dog grooming point of view these types of dogs are low maintenance. These types of dog usually boast a double coat. From a grooming perspective as well as protection against the elements, these dogs have the best of both worlds. The coat is long enough to afford adequate protection against harsher weather yet not too long to constitute a grooming nightmare! Dog breeds with long coats are the fashion models of doggy world. Simply put they look real good! However that looking good comes at a price. Their coats require frequent and lengthy grooming upkeep. These tips are just perfect. It will me help me a lot while i do grooming my dog.